Queen of the House of Boys: Brothers Don't Shake Hands, Brothers Gotta Hug! This, is the smile of a little boy who LOVES "ou'side". You mention the word casually and he picks it out of any conversation. When this "ou'side" word is spoken, you better be ready to deliver and take him outside. On this day we went to join big brother on his class field trip. They went to a local lake with their teacher and a DNR representative to learn about habitats. We went out to eat lunch & play on the playground with them. This little boy absolutely LOVES his big brother Xavier...aka "Zae-Zae". When River has been away at Grandma's house, it is not mommy or daddy that he asks for first...it is Zae-Zae. You could never tell that these two boys DNA doesn't 100% match, because to them they are 110% related in every way shape or form. Their maneurisms...their actions..River is a little mimmick. Especially when it comes to Wrestling. Yes, wrestling is the chosen sport of this household, and River is learning to "westle" as well. This little boy NEVER eats his sandwiches without tearing them apart unless they are peanut butter. On this field trip occasion he was so excited to be like his big brother that he ate his sandwich just like him. It was quite intriguing to watch. They would take bites at the same time. If big brother stopped to take a drink, so would little bro too. I never knew that seeing my 2 sons together would bring me such joy. All my worries of what it would be like to add a sibling to our family dynamic were quickly ceased when Xavier first held River on the day he was born. He was/is so proud that he is HIS brother and that River loves him so much. It makes him feel important when River when run to him when there is a crowd of people around. I love my boys. I love being a mother to boys. 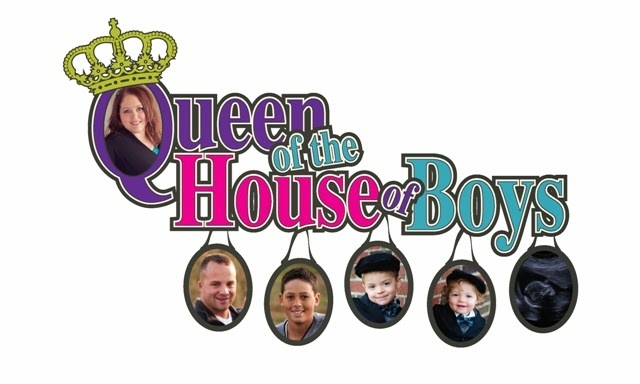 So, just 5 weeks until we find out if I will get to continue with being the Queen of the House of Boys, or if our family dynamics will change yet again...and possibly even the change of my blog name. Such a sweet post. I love it!